Well-being is something we all desire. It’s what we aim for every day as we struggle with the daily hustle and bustle; it’s another dimension that captures our imagination. A more authentic dimension, one free from tension and the constraints of time. There are moments when its seems like we’ve reached that dimension. And there are places that offer profound relaxation such as spas. Yes, that’s where we so often dream of being. Immersed in a soothing atmosphere, lulled by soft music, wrapped in essences that seep into mind and body. As you sip a herb tea, the body is relaxed by expert hands as the ancient art of massage releases every tension and returns us to a state of profound well-being. But how often can we afford such luxury? Certainly never as often as we’d like. Beltalia now offers you a different way of getting there, a chance to recreate the atmosphere of a SPA whenever you want, in the comfort of your own home. The Beltalia mattress, with its advanced massage system, is designed to help you achieve full psycho-physical well-being – every day. Beltalia is the only mattress made out of latest-generation materials that also provides a personalised massage function. An innovative ‘bed system’ that gently welcomes the body and lulls it with a profoundly re-energizing effect. The micro-cellular Termosilver inner structure exerts an outstanding antibacterial effect and gives the padding excellent breathability to offer the body profound comfort and freshness. Thanks to the meticulously designed memory foam surface, which transmits and amplifies the massaging action, the Beltalia mattress produces a deeply calming effect that acts on the body’s nerve centres and spreads throughout the body to maximise relaxation and pleasure. 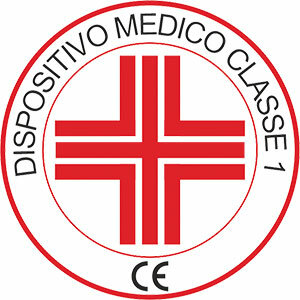 Class I medical device in compliance with EC directive 93/42, registered in the directory of medical devices with number 1121948. 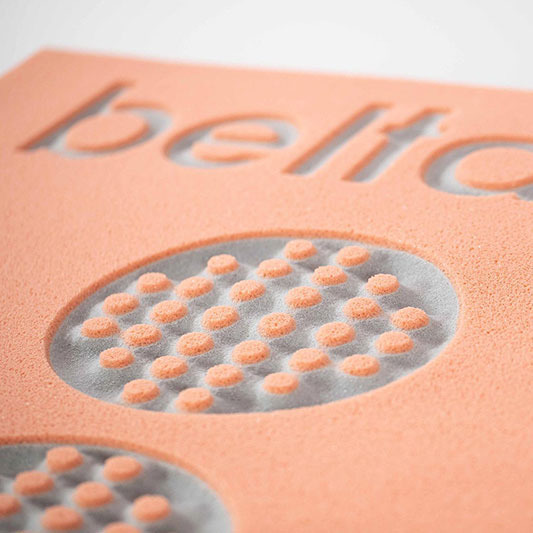 The Beltalia mattress features an innovative deep-massage system featuring made-to-measure programmes for every need. With seven vibration units acting across five zones, the Beltalia system melts away muscular tension and induces a profound state of well-being. 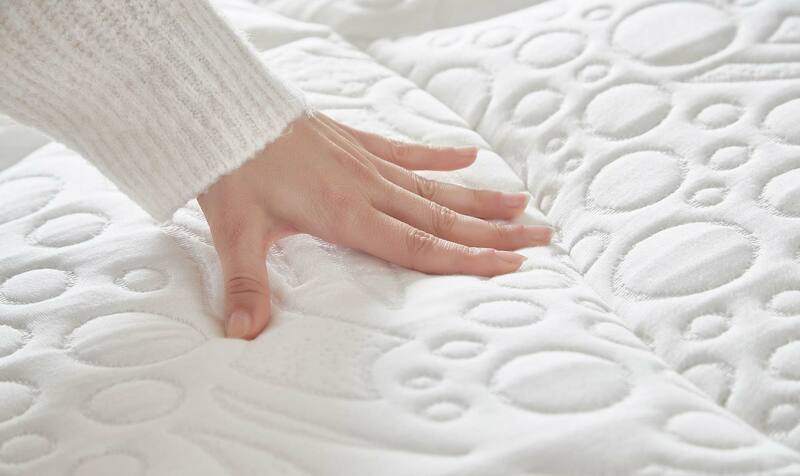 The massage mattress lining has been designed to maximise comfort: the special Beltalia formula provides a soft, thermo-regulated technofibre lining with a finely crafted quilted pattern. In addition to the massage system, the Beltalia mattress stands out on account of top-quality materials and a meticulous production process. Together, they ensure extraordinarily comfortable support. 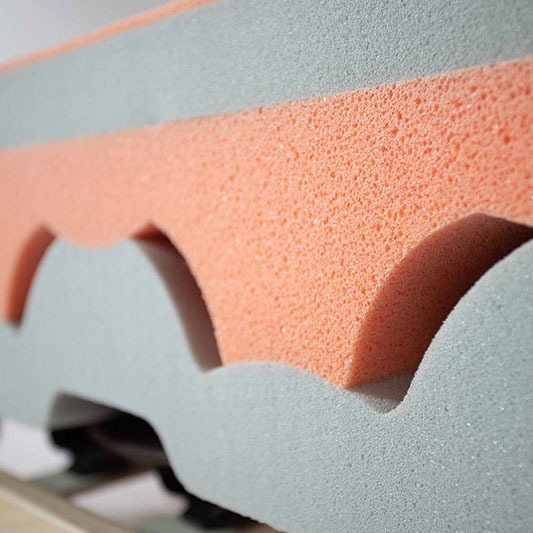 Three shaped high density foam layers with innovative silver ion micro-encapsulation technology ensure an effective anti-bacterial action and outstanding thermo-regulation. The central moulding features airways to ensure breathability and a constant sensation of freshness. An upper memory foam layer guarantees a soft contact point that gradually ‘welcomes’ the body and provides just the right support. Seven specially designed circular areas transmit the massaging action to the surface and amplify it at key body points. Beltalia offers an ideal formula for creating profound relaxation and well-being. Whenever you’re running low on energy, the ‘bed system’ reinvigorates mind and body in the warmest, most familiar place possible: your home. Beltalia offers the ideal formula for creating profound relaxation and closeness. A ‘bed system’ that regenerates mind and body in the warmest, most welcoming place possible: your home. Find out about our exclusive delivery services. 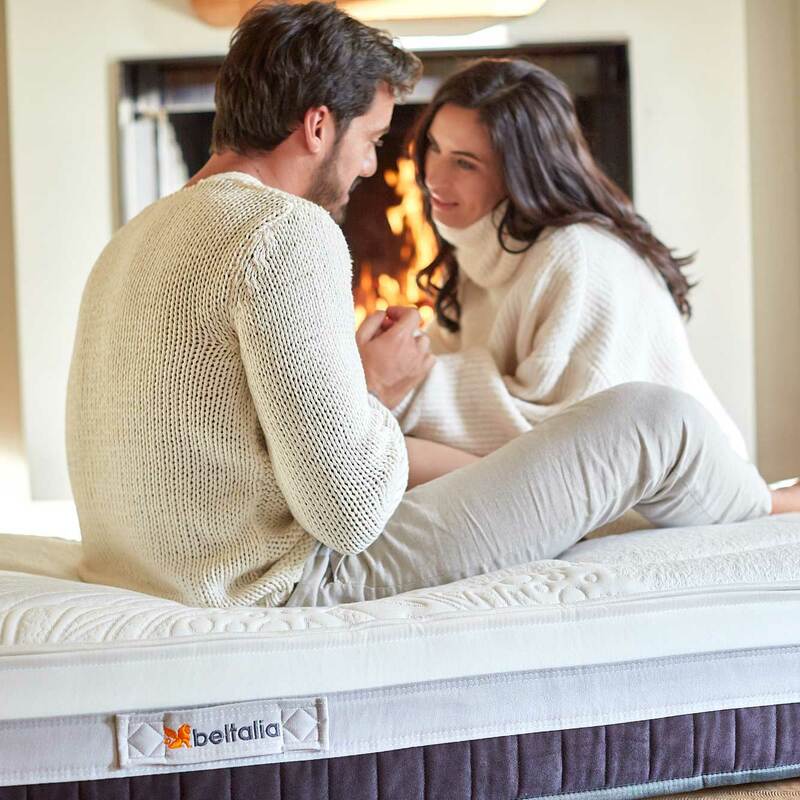 To learn more about the characteristics of the Beltalia Massage Mattress, its top-quality lining and instructions for use, visit the Shop or download the user manuals.